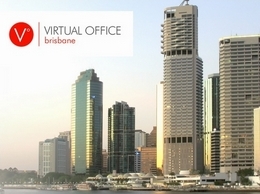 Virtual Office Brisbane offers virtual office service in Brisbane. Our telephone answering service starts from $15 a month. FREE 7-day trial. Sign up now! Dezigna produces authentic Aboriginal clothing designs, including our popular range of Aboriginal shirts. Our Australian Indigenous designs aim to promote Aboriginal art by incorporating it into contemporary easy to wear clothing. View our range online. Brisbane Trade Services are a Brisbane based company servicing all of Brisbane, from the Northern Gold Coast to the Sunshine Coast. Animal Welfare League Qld is not for profit organisation that cares and rehomes up to 15000 stray and abandoned animals a year. Our product range includes pocket squares, skinny ties, cummerbunds, cufflinks, braces, waistcoats and more - all in matching fabrics across the board. Oncore is a global outsourcing company specialising in contractor risk mitigation and payroll solutions for corporate, recruiters and professional contractors. Our modern Physiotherapy, Remedial Massage, Rehabilitation gym and Pilates studio is situated in West End, Brisbane and easily accessible from South Brisbane, Brisbane City, Annerley, Dutton Park, Woolloongabba, Fairfield, Yeronga and beyond. Primomedia is a Brisbane based digital marketing agency specialising in online marketing for small to medium Australia business.